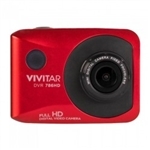 Capture the action with the Vivitar DVR 783HD ActionCam, complete with a waterproof case to help you to get the best video in any situation. It can record crystal clear 720p HD video and can also capture still images. 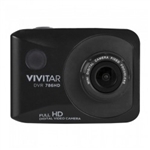 Capture the action with the Vivitar DVR 783HD ActionCam, complete with a waterproof case to help you to get the best video in any situation. It can record crystal clear 720p HD video and can also capture still images. Capture the action with the Vivitar DVR 783HD ActionCam, complete with a waterproof case to help you to get the best video in any situation. It can record crystal clear 720p HD video and can also capture still images. Capture the action with the Vivitar DVR 783HD ActionCam, complete with a waterproof case to help you to get the best video in any situation. It can record crystal clear 720p HD video and can also capture still images. 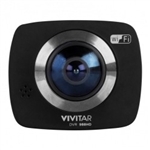 Vivitar's DVR 786HD ActionCam allows you to record amazing footage from your point of view! Designed with the traditional family in mind, the DVR 786HD ActionCam is one of the most versatile action cams ever made. 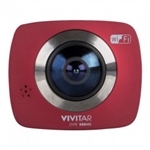 Vivitar's DVR 786HD ActionCam allows you to record amazing footage from your point of view! Designed with the traditional family in mind, the DVR 786HD ActionCam is one of the most versatile action cams ever made. Don’t limit your camera view! The Vivitar DVR 988HD 360 Cam features two 12.1MP lenses, one on each side, for an all around 360 capture so you don’t miss a single thing.